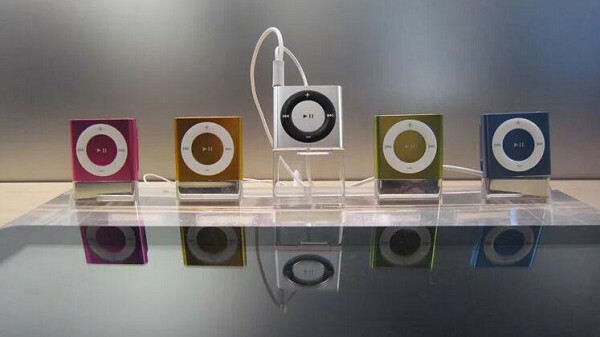 The iPod Shuffle is a portable music player designed and marketed by Apple Inc. It isn't just the cheapest iPod; it's also the smallest device in Apple's iPod family. iPod Shuffle is tiny, light but with enough storage, so that it is welcomed by exercisers. Though Apple discontinued the iPod Shuffle in July 2017, the Shuffle still a great device for many users. Can You Use Apple Music on an iPod Shuffle? Apple Music is a music streaming service. 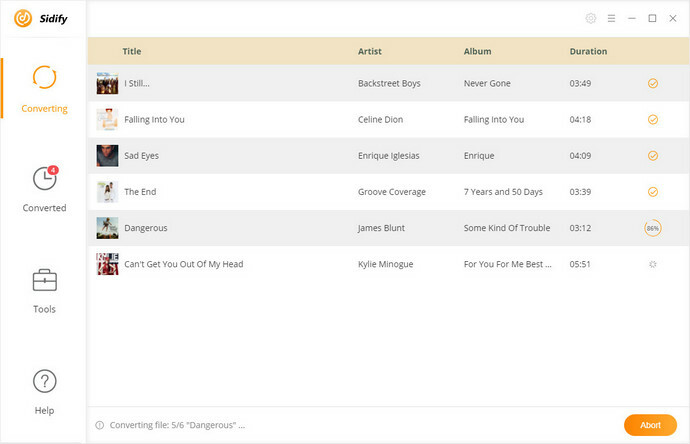 It offers over 45 million songs in its streaming library. Apple Music lets users select tracks to download into their device for listening offline. You can access it on all your iPhones, iPads, and iPod touch models, Android, Mac, and PC. Obviously, iPod Shuffle is not included. When you try to sync offline Apple Music songs to an iPod Shuffle, you will see a disappointing message "Apple Music songs cannot be copied to an iPod." You are not allowed to use Apple Music on the iPod Shuffle. Why? That's because Apple needs WiFi to authenticate an Apple Music subscription, and the iPod Shuffle isn't built with WiFi capabilities. On the other hand, the downloaded Apple Music tracks are DRM-protected, which blocks any possibility to stream Apple Music on other unauthorized devices. So is there any possibility to play Apple Music on iPod Shuffle? 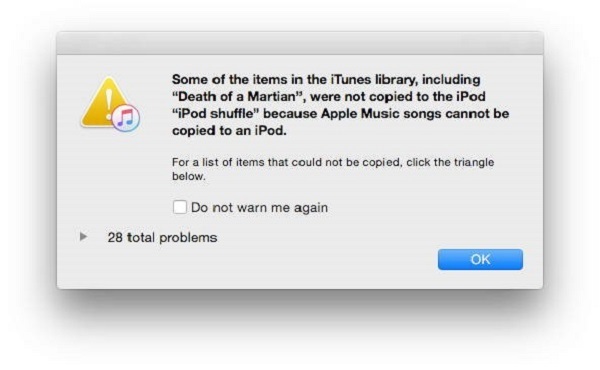 Of course, though Apple Music is limited to WiFi-enabled devices only, you can still store music, including iTunes purchased music or any other DRM-free music you own, on your iPod Shuffle. To put Apple Music on your iPod Shuffle, you have only to convert Apple Music to the common audio formats like MP3 or AAC supported by iPod Shuffle. 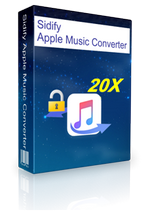 Sidify Apple Music Converter is a fully functional Apple Music to iPod Converter. With it, you can not only remove DRM from Apple Music tracks, but also can convert them to MP3, AAC, FLAC and WAV with original sound quality kept, so that you can transfer the DRM-free Apple Music files to iPod Shuffle easily. Besides Apple Music, it can also be used to convert iTunes purchased tracks, iTunes M4A, M4B and Audible AA, AAX audiobooks to plain audio format. And this program is fully compatible with both Mac and Windows operating systems. In order to use Sidify Apple Music Converter smoothly, you should install the latest version of iTunes with Apple Music downloaded. Below is a step-by-step guide you can follow to learn how to convert the downloaded Apple Music tracks to your iPod Shuffle. 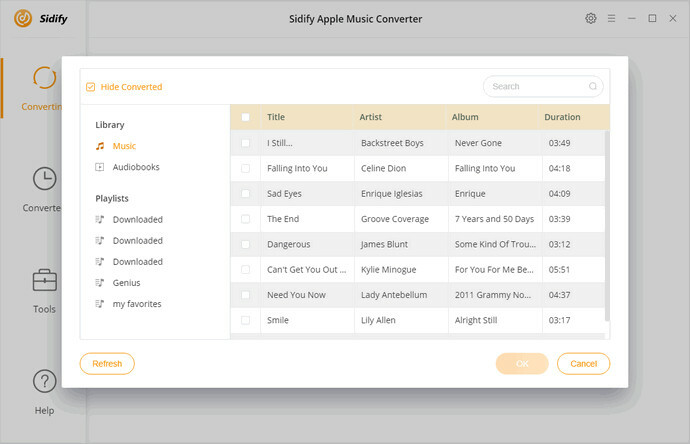 Download, install and launch Sidify Apple Music Converter on your computer. Then click "+" button, and select the tracks from the pop-up iTunes library window, then hit OK.
Once the selected Apple Music are added to the program, you can choose output format as MP3, AAC, WAV, FLAC by clicking the gear icon on the top right of the interface. In order to transfer Apple Music to your iPod Shuffle, you are suggested to select MP3 or AAC as the output. You can also set the output quality and output path according to your own requirements. 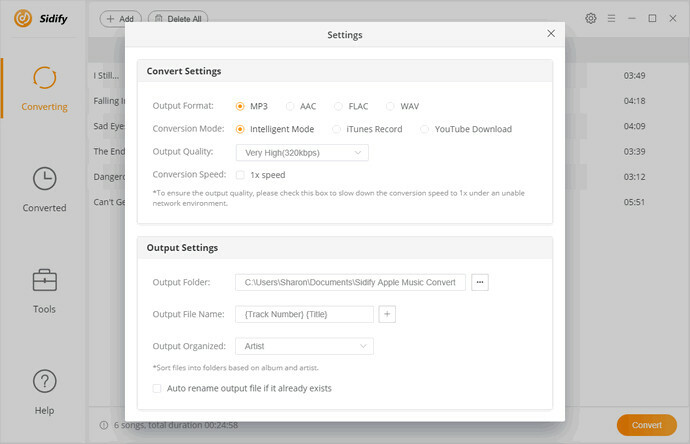 Click Convert button to start the Apple Music to MP3 conversion process. When the conversion is finished, you can click history option to check the DRM-free Apple Music files. When you connect your iPod to a computer running iTunes, you can add almost any music from the computer to the iPod. Firstly, launch iTunes and import these converted Apple Music files to your iTunes library. Then connect your iPod Shuffle to your computer using the USB cable that came with it, you'll see the main iPod management screen. Click on it and select the Recently Added to sync the music to your iPod Shuffle. Finally, select the Apply button at the bottom right of the iTunes window. This will begin the downloading songs onto your iPod Shuffle. How long it takes depends on how many songs you're downloading. 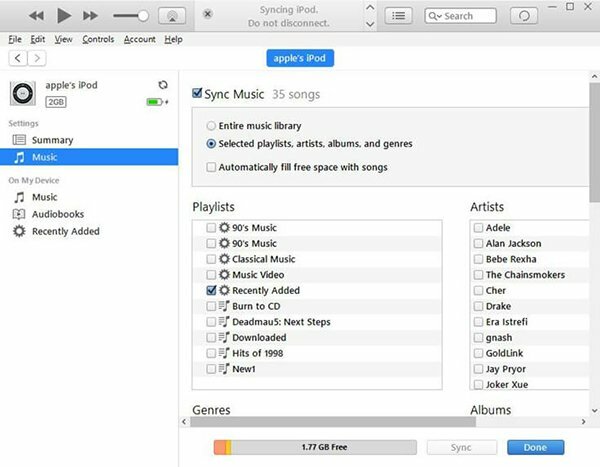 Once syncing is complete, you will have successfully added the converted Apple Music onto your iPod Shuffle. Finally, you can play Apple Music on your iPod Shuffle at will.